A few months back, Jeremy Waite, a strategic marketing evangelist at IBM, creatively showed an audience at Martech Europe that not all marketing clouds are the same. He loaded social media accounts and other online content into IBM Watson and asked the computer to analyze the personalities of six marketing clouds (Adobe, Experian, IBM, Marketo, Oracle, and SalesForce). Scott Brinker of Chief Marketing Technologist sums it up nicely here. We loved the idea. 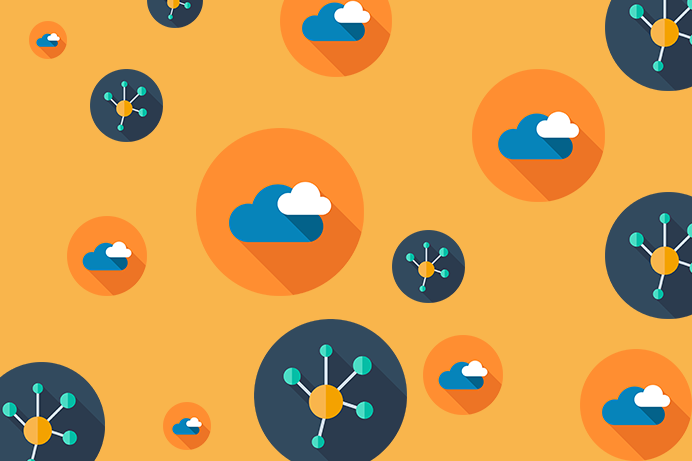 No two marketing clouds are the same, and each has unique benefits for different needs. Waite discovered that Adobe wants to be perceived as expressive and adventurous, Experian and IBM as highly trustworthy, Marketo as intelle­­ctual and highly active, Oracle as opinionated and assertive, and Salesforce as purposeful and driven to inspire. Testing the unique personality of each cloud offers real insight into branding, positioning, and the overall tone of voice assumed by these companies. But this experiment got us thinking… what about the customer? Thanks to Watson, we know how each of the marketing clouds wants to be perceived. But how does that compare to what customers are engaging with? Are some of the marketing clouds nailing it, and speaking directly to the right people, in the right way? Are some of them way off the mark? To determine how customers are engaging with the marketing clouds compared to the way each of the clouds wants to be perceived, we took a two-step approach using the DemandJump AIM (Artificial Intelligence Marketing) platform. Step one involved determining the top 4-5 topics that each cloud wanted to own. These topics could be branded or unbranded. To isolate the topics for each brand, DemandJump’s AIM platform uses proprietary natural language processing techniques to extract topical keywords and ‘phraselets’ from a brand’s content. This system runs completely independent of any categorization done by the brand itself. DemandJump can isolate, link, and group pieces of related content based on the author’s topical intent – meaning whatever the author is actually talking about, not just what the author wants you to think they are talking about. The advantage? Topics extracted by DemandJump are completely objective. We can see through the ‘noise’ and deduce what the core message is. Finally, we cross-reference the topical data pulled out of content produced by each of the marketing clouds, with the search data showing us how customers are navigating to the cloud’s websites. 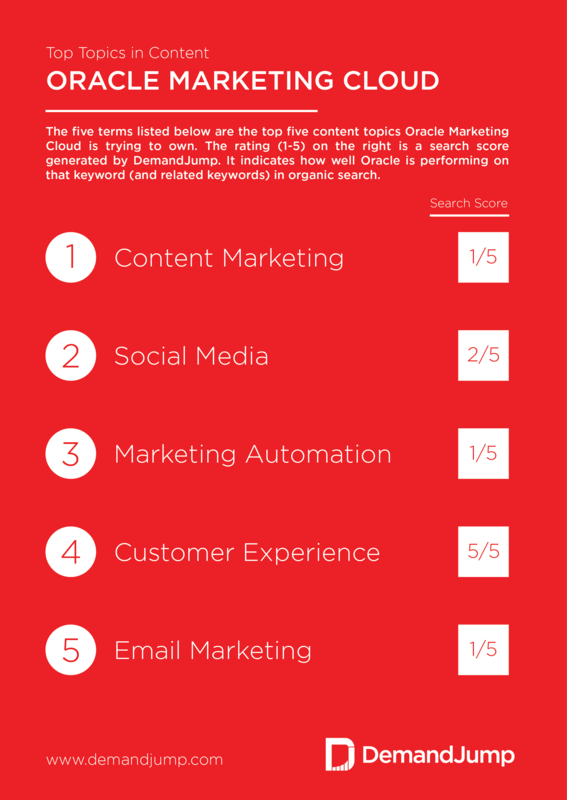 At a minimum, the top five content topics detected by DemandJump for any one brand must be topics that brand is trying to own. For example, the most popular topic detected by AIM for Salesforce is ‘Customer Service’, therefore we must assume ‘Customer Service’ is a topic Salesforce is actively invested in owning from a branding and marketing position. If a user searches for a specific term, which in turn leads the same user to a brand’s website, the brand has successfully identified itself with that topic for that user. For example, if Marketo is driving thousands of monthly visits from the term ‘Marketing Automation’, we will assume that, in general, customers associate Marketo with ‘Marketing Automation’. We loaded six of the most popular marketing clouds into DemandJump’s AIM platform. 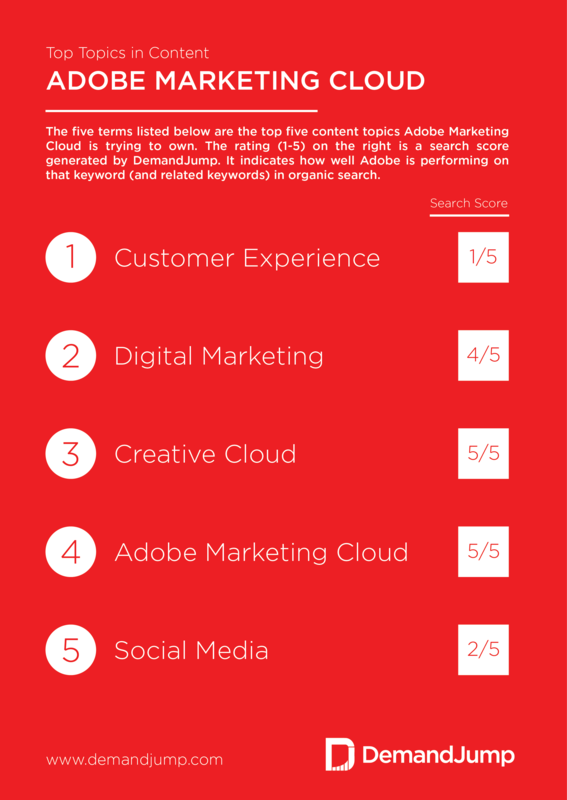 Adobe is without question the most branded of the five competitors we analyzed. They frequently talk about their own products, especially the Creative Cloud applications and Adobe Marketing Cloud. ‘Customer Experience’, ‘Digital Marketing’, and ‘Social Media’ are also major topics Adobe is actively trying to take ownership of. The search data confirms that Adobe generates a lot of traffic from branded terms. ‘Adobe Creative Cloud’, for example, drives approximately 1M visits every month. 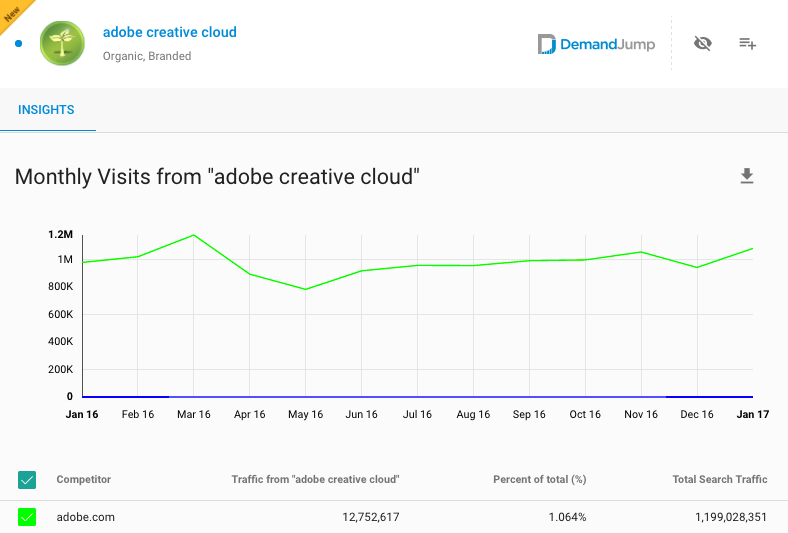 DemandJump’s AIM platform reveals Adobe is not generating much search traffic from the term ‘Customer Experience’ or other variations of the term. They are, however, the category leader in ‘Digital Marketing’, driving more traffic from this search then any of their competitors — by a degree of 400%. Adobe is doing a great job owning their branded topics. Obviously, these topics are much easier to own then unbranded topics, but the team at Adobe is flaunting a lot of skill building a brand that customers want to engage with. In today’s world of endless information, it can be difficult to lead with product marketing and branded content without turning off your customers, so kudos to Adobe on that. On the flipside, DemandJump identified some key gaps in non-branded topical initiatives, like ‘Customer Experience’ and ‘Social Media’. We identified these as major ownership initiatives – but it appears that Adobe is not top-of-mind yet when it comes to these terms. Experian was kind of the oddball. 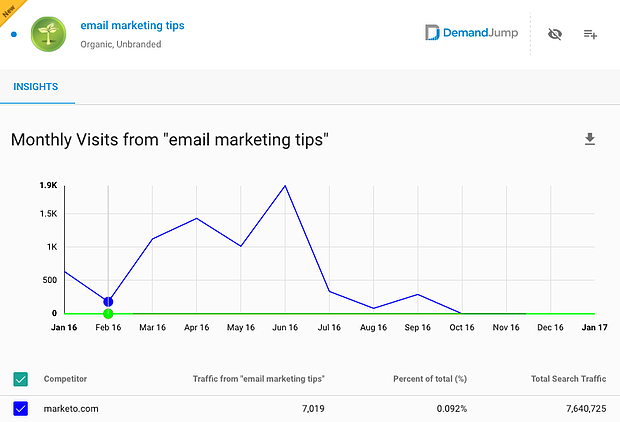 DemandJump detected little to no content marketing initiatives around their marketing cloud, and, in fact, most of the content produced by Experian related to the ‘credit’ side of the business. This is in no way meant to come across as a criticism of Experian. They are certainly using other tactics to market their marketing cloud technology. It is interesting, however, that it seems to be the industry standard to publish content around a marketing cloud offering. Each of the other five competitors in our research are actively engaged in a content marketing strategy — and each is having success (to varying degrees). Unfortunately, because Experian isn’t engaged in a strong content marketing program around their marketing cloud suite, we were not able to analyze them the same way we did the other clouds. DemandJump will continue to keep tabs on Experian and update if we see any movement. IBM is making their push in advanced computing, artificial intelligence, and business processes. They aren’t as branded as Adobe, but are clearly trying to own ‘Cloud Services’ and ‘Cloud Computing’, which make up a large part of their revenue generation. ‘Cognitive Computing’ is aligned with IBM Watson, one of IBM’s larger marketing initiatives in recent months. The search data confirms that IBM is generating strong traffic numbers from some of their high-priority topics. ‘Cloud Computing’, for example, drives close to 350K annual visitors to IBM.com. ‘Cognitive Computing’ and ‘Artificial Intelligence’ are also driving traffic to IBM’s website, indicating a strong correlation between IBM’s latest branding initiatives and customer adoption. The data confirms IBM’s ownership over advanced computing and AI topics. 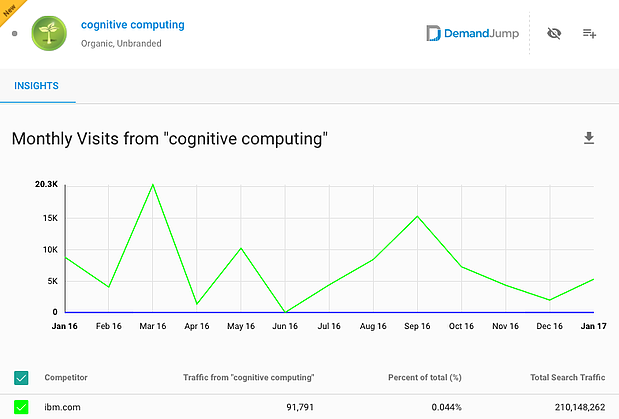 Search data shows that customers engage with IBM in many ways, including some of IBM’s high-priority topics like ‘Cloud Computing’, ‘Cognitive Computing’, ‘Power Systems’ and more. The biggest question mark is how exactly this all ties into the IBM Marketing Cloud. 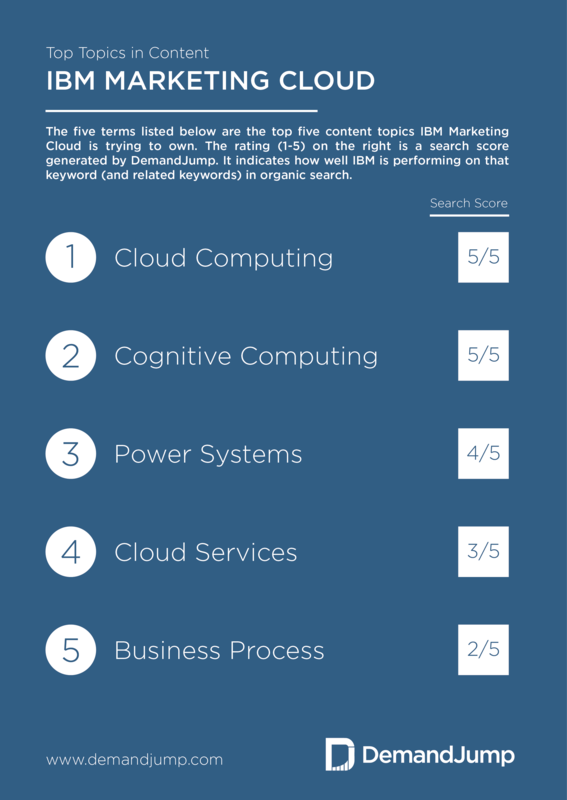 Three of these topics are very general, and DemandJump has identified a major gap relating IBM branding efforts back to the marketing cloud specifically. 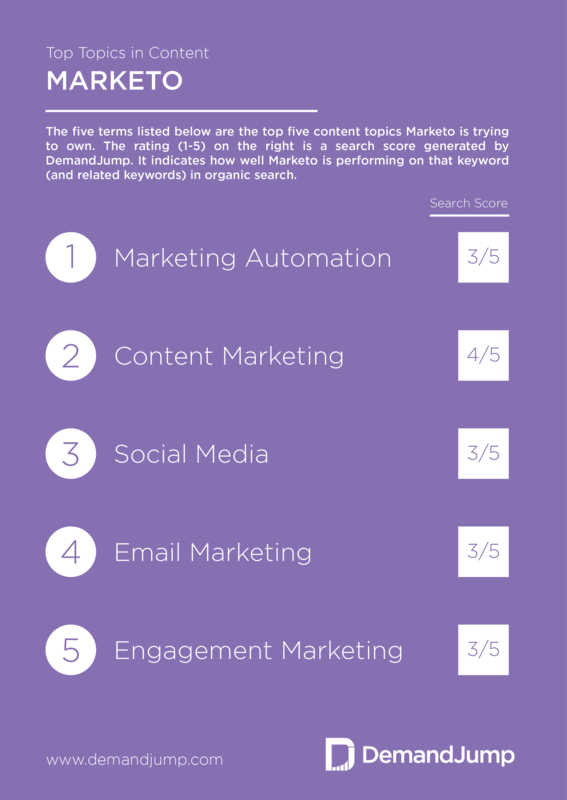 Most of Marketo’s high-priority topics are broad, marketing-related phrases like ‘Marketing Automation’, ‘Content Marketing’, and ‘Social Media’, to name just a few. The search data from DemandJump’s AIM platform shows that customers definitely associate Marketo with marketing automation. Marketo.com generates more than 40K visits annually from the search term ‘Marketing Automation’, and another 40-50K from variations of the term, such as “Marketo Marketing Automation’ and ‘Marketing Automation Software’. The search data also demonstrates some ownership for Marketo over ‘Content Marketing’, and more recently, customers are beginning to connect Marketo to ‘Engagement Marketing’. Several other terms Marketo is trying to own haven’t caught on as much yet. ‘Social Media’ and other related terms are barely generating any traffic for Marketo. ‘Email Marketing Tips’ picked up slightly in Q2 2016, but has since tailed off. Marketo is doing a relatively good job of seeding their ownership initiatives in the marketplace. 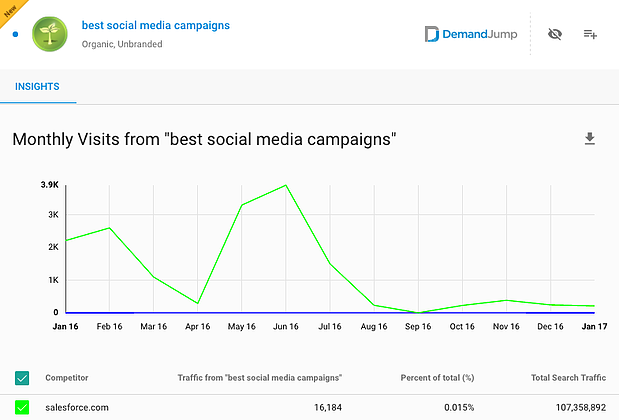 DemandJump did spot two key misses with ‘Social Media’ and ‘Email Marketing’. Both are clearly high-priority topics for Marketo, yet our customer-centric search data shows that neither are resonating. Like Marketo, Oracle is staying away from overly-branded terms. In fact, the two companies compete on four of their five high-priority topics (Content Marketing, Social Media, Marketing Automation, and Email Marketing). Oracle’s other term, ‘Customer Experience’ was the most popular topic that any of the five clouds are trying to own. Search data from AIM revealed that ‘Customer Experience’ is the only topic Oracle is generating significant traffic from, out of the five key terms identified earlier. It’s interesting that Oracle appears to have won the most competitive topic, yet falls short on their other four major initiatives. 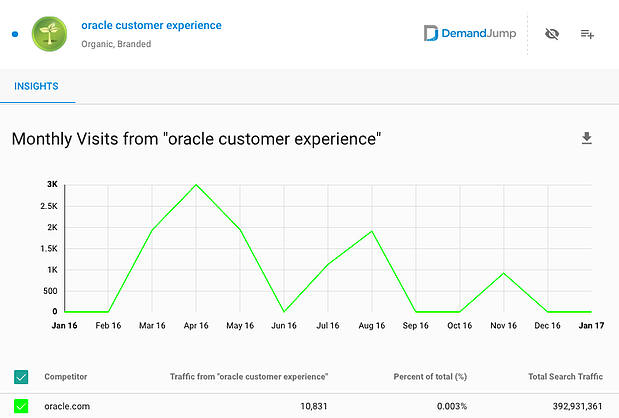 DemandJump identified many customers searching for terms like ‘Oracle Customer Experience’, ‘Oracle Customer Experience Cloud’, and ‘Customer Experience Software from Oracle’, signifying a very strong tie between the Oracle brand/products and customer experience. While it is impressive that Oracle has seemingly won out the most competitive term, it seems far more concerning that only one of their five high-priority topics is in line with general customer perceptions. These are serious gaps that should be addressed, and other clouds competing for these terms (notably Marketo) should take advantage of this opportunity. Salesforce is investing heavily in customer-centric ideas and topics. The top two priorities identified by DemandJump are ‘Customer Service’ and ‘Customer Experience’. ‘Social Media’, ‘Sales Process’, and ‘Content Marketing’ round out their top five list. 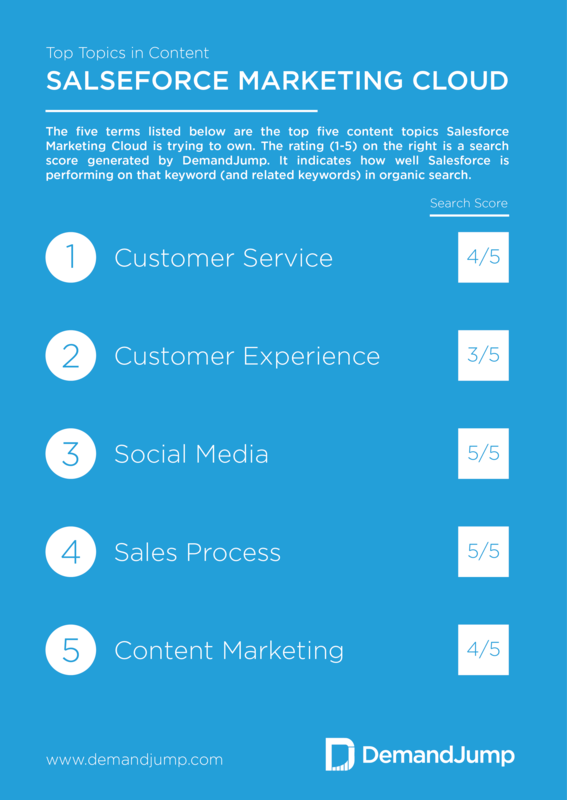 Search data reveals that Salesforce is clearly owning ‘Customer Service’ in the marketplace. Salesforce owns a handful of terms around customer service, that generate at least 100K combined visits. They are also the only company giving Oracle a run for their money when it comes to ‘Customer Experience’. In Q4 2016, Salesforce started driving traffic from ‘AI Customer Experience’, possibly showing Salesforce’s AI product, Einstein, starting to take hold in the market. Search data shows customers’ perception of Salesforce to be tied in heavily with ‘Social Media’, although traffic has died down in the latter part of last year. Salesforce owns many terms related to ‘Sales Process’, including ‘Sales Process Map’, ‘Sales Process Management’, and ‘Inside Sales Process Impact’. Salesforce shares the dominant market association with ‘Content Marketing’ with Marketo. DemandJump has shown Salesforce is especially savvy at owning high-priority topics and getting those topics to resonate with their customers. We see near perfect matches between the top five topics identified by AIM and the customer’s perception of Salesforce as a brand. There is room for improvement in both ‘Customer Experience’ and ‘Content Marketing’, but overall this is an impressive showing. We understand that matching topical content themes with search traffic is not a perfect measurement of the success of branding initiatives and ownership of terms in the market. It does, however, give us a pretty good guide for who is producing content to own various segments of the marketing cloud in conjunction with how their target market perceives them. Speaking to their customers in the right way, and seeing whose latest branding is resonating with the people that matter most — the customers. This is the kind of knowledge that can make or break a business. How do you know you are narrowing in on the right topics? Launching the right strategic initiatives? Speaking to the right customers, in the right way? IBM is placing their stake on all things BIG. They are successfully owning terms like ‘Cognitive Computing’ and ‘Cloud Computing’, however they don’t appear to be making any big moves on more marketing-specific terms. Salesforce is identified as the top all-around competitor based on the criteria and assumptions of this research. They are winning some very valuable search terms, driving millions of website visitors monthly. They are also the only brand putting pressure on Oracle's ownership of ‘Customer Experience’. Overall, it was the more tactical terms that drove the most traffic. ‘Content Marketing’, ‘Sales Process’, ‘Social Media’, and ‘Digital Marketing’ are just a few examples. These terms are all highly competitive — and apparently with good reason. They are also top of funnel terms, geared more towards ‘information seekers’. For the clouds, they undoubtedly have a lower conversion rate than, say, a customer searching for ‘Marketing Automation’ and navigating to Marketo’s website. The marketing clouds are just one example. This is happening in every single industry across the world. There are winners and there are losers. Monitoring and adjusting in real time is now possible with Artificial Intelligence. Marketers ­­­­have millions of sets of eyeballs watching and reporting back on competitive movements, industry shifts, and crucial opportunities. So how do you know if your content strategy aligns with your customer's perceptions or desires?